I was so excited for this new release in the Hidden Legacy world! I love Nevada and Rogan. Now we get to go on an adventure with Catalina, Nevada’s sister. Catalina is trying to manage Nevada & Rogan’s wedding. She also seems to be in charge of keeping Rogan’s relatives happy. Then to add to her responsibilities, a family heirloom goes missing that MUST be found before the wedding, and Nevada can’t know. We end up in a great adventure that culminates in a wonderful reveal at the end. What I really enjoyed most about the book was actually the narration. 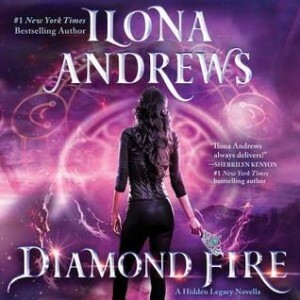 I listened to Diamond Fire and I loved how we started out with Renee Raudman with Nevada’s POV, then it was such an obvious switch over to Catalina’s POV with Emily Rankin taking the reigns and beginning this new generation of the series. I thought that was really well done and it was a great send off of Renee Raudman from the series. Catalina is only 18 and has a lot of uncertainty about her life. She is afraid that no one sincerely likes her except her family because of her power. She believes that her power is the only thing that draws people to her. In Diamond Fire Catalina has to explore her power and her control of that power. She is definitely an asset to the Baylor Agency. 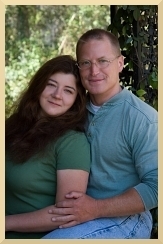 Despite being a novella, the Andrews packed in a good amount of mystery. There was even more than just the main mystery of the missing tiara. I enjoyed every minute of it. Catalina’s age didn’t even bother me like I thought it would. I initially thought this would come across as a YA mystery, but with the exception of a couple of times when her age is mentioned, I would never have known she was only 18. Catalina is very mature for her 18 years! The novella did a great job of switching series POV from Nevada to Catalina and I’m itching to get to the next book. I also recommend the audio. I thought that Emily Rankin does a great job with Catalina and the Italian characters that surround her during this story. I consider it worth the credit.